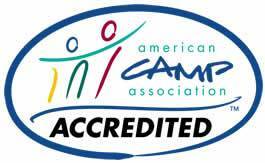 Here are some links, ranging from where parents can stay when dropping off their campers to preparing the first time camper for a successful experience, that you may find helpful. If you have any other questions, please don't hesitate to contact us! Useful articles for parents of first-time campers. Lodging in the area for parents when dropping off or picking up their camper. Things for Mom and Dad to see and do in the area when dropping off or picking up their campers. Great general information on the Sierras for the outdoor enthusiast. If you're a parent of a first-time camper, we offer the following articles, which we think will help make your child's first summer at camp a successful one. For things to do in Sierra City and photographs, visit www.sierracity.com or www.sierracounty.org. GravityDex - The GravityFed Sports Directory has over 1000 categories and 7000 links for your favorite adventure sports.